He's a vampire destined to lead the world to ruin...so why is he working part time at a convenience store?! A 4-koma about demi-human working! The new clerk in the convenience store where Amamiya works at is half human and half vampire. Not to mention, their colleagues are a werewolf and an android. 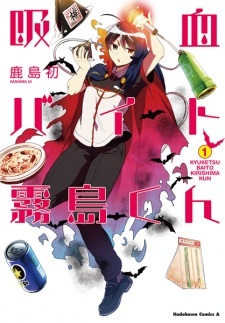 Watching these demi-human work with the half vampire Kirishima-kun should be entertaining in this working comedy.